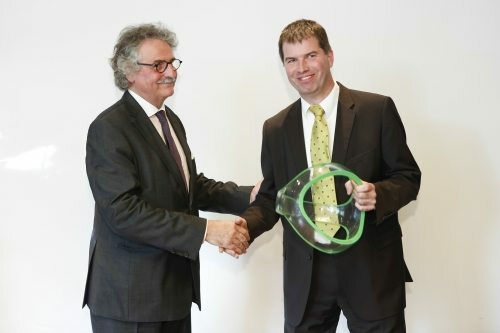 Mauser Group has received the inaugural PackTheFuture – Sustainable Plastic Packaging Award 2014 for its recently introduced Infinity plastic drum series at interpack 2014 held in May in Dusseldorf, Germany. Comprised from high quality recycled plastic material, the Mauser Infinity Series has been awarded in the ecodesign category as an innovation that is environmentally friendly throughout the product’s entire lifecycle. The product beat almost 50 entries to clinch the award. The new plastic drums produced from post-consumer resin (PCR) plastic materials cover the open top drum design O-Top from 30L up to 220L capacity and the 220L capacity tight head drum L-Ring PLUS. The new PackTheFuture Award is based on an initiative of IK Industrievereinigung Kunststoffverpackungen e.V. (the German Association for Plastics Packaging and Films) and ELIPSO, the French Plastic and Flexible Packaging Association. PackTheFuture 2014 was established to recognize and honor the innovative and creative potential of plastic packaging.